Master Kush feminized seeds are thankful seeds and well suited for beginners as well as advanced growers, easy to germinate and maintain. Master Kush is a Hindu Kush and Skunk crossing and very suitable for indoor growing because she won't get very tall with a tight growing bush appearance. The leaves have a healthy green colour with a sharp point shape and the buds have a fluffy and tight structure covered with a heavy layer of resin. Although Master Kush grows well outdoors a higher yield is assured growing indoors because of the stable environment. 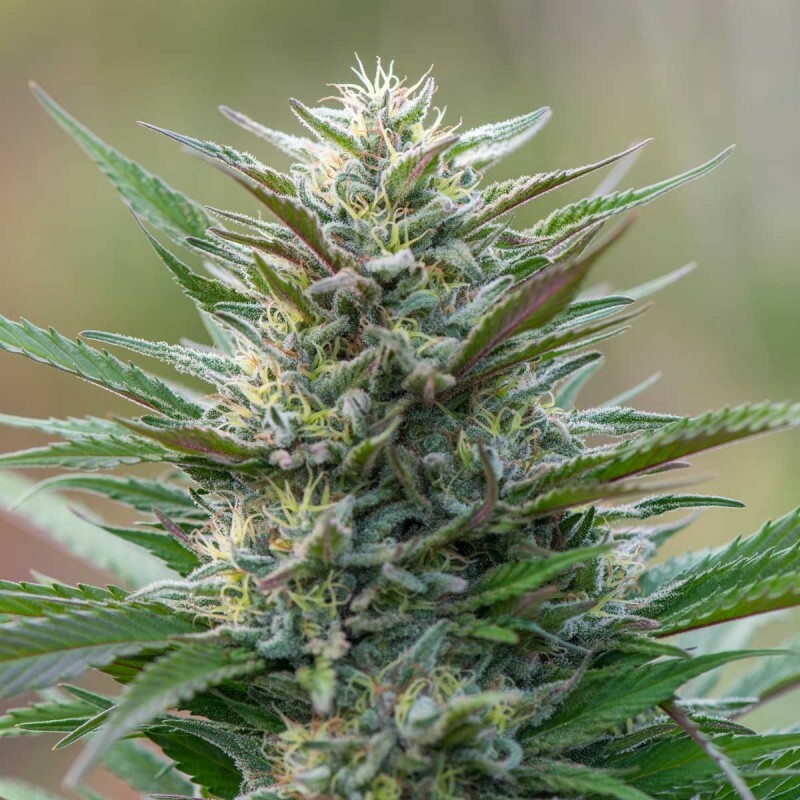 If you choose to grow Master Kush outdoors it is wise to keep an eye on the buds because they are mould sensitive due to their thick and tense structure. Master Kush is also used for medicinal treatment against stress and anxiety. While growing she hardly smells but the smoke has an earthy sweet taste and isn't too sharp for your throat, easy going! Master Kush leaves you in a state of a comfortably numb high and it's recommended only to use it when you're ready for bed or have a date with your couch the whole evening. great extract from the Hindu Kush part of Afghanistan, Master Kush feminized seed is a forgiving and compact variety, which cultivates well in any medium, including coco, hydro, and soil. It offers a highly potent smoke, which is sweet, smooth with citrus and earthy flavor and the high is extremely powerful and strong. Since it produces low odors than normal, it is mainly considered by majority of growers. The heavy, large buds are pale green with brown/orange, and white long hair. It is resistant to molds; however, one has to take extra care in humid conditions as it’s quite weak to mold in such areas, due to sheer density, and size of the bud development. It manages to grow well in most conditions; it is reliable and clones easily. It is a classical, traditional mostly-indica strain, offering substantial yield. It can be cultivated in a greenhouse, outdoors, indoors, and hydro systems. It is a very powerful strain, considering both strength and potency. It can reach up to medium height and produces lateral branches with resinous, compact buds. Initially introduced as High Rise, it originated from apartment buildings and Bijlmer area in Amsterdam.It’s still the favorite choice in most coffee shops. Marijuana lovers and coffee shop owners alike fall in love with this cannabis variety. The popular demand made breeders to introduce feminized version for better result and strong cannabis plant that grows into medium height. It is an exclusively heavy weed producer that survives in greenhouse, hydro, or soil growing conditions. It has mossy, pleasantly earthy smell and smooth smoke. Being a F1 cross of 2 Kush strains, it is certainly winner with good yields, high quality buds, and amazing high. The 15-20% THC level offers a cerebral buzz. The best time to harvest this strain is early days of Oct or towards the end of Sept.
11 day delivery to west coast USA. Great service so far. will keep posted.